JUDY BAAR TOPINKA’s inspiring life provides everyone—young and old, within Illinois as well as outside the state—a true legacy of good government, bipartisanship, ethics, advocacy, candor, and kindness. Demonstrating that anyone with passion, drive, and hard work can triumph in the face of great odds, her story is about a woman who took on the establishment and succeeded as no other woman had in Illinois. She didn’t always win, but she never gave up, whether as a child, mother, student, journalist, legislator, or state-level leader. Judy Baar Topinka’s life has solid lessons for all of us today and for future generations. She is a true role model for everyone. Books will be shipped beginning April 6, 2018. Orders will be fulfilled in the same order in which they were received. Meet Judy Baar Topinka—persistent, creative, and dedicated to making the world a better place. Judy started out life much the same as you, going to school, growing up with friends, and embracing family. Like many today, she also had to learn the ways of a new country as a first-generation immigrant. Through education and tenacity, she placed herself on a history-making path, impacting the lives of millions during her career in public service. In Just Judy, we watch her grow from child to adult to wife, mother, state politician, member in the Illinois House of Representatives, and finally to the office of Illinois Comptroller. She fought many battles as a pioneering woman in politics, but she persisted. Her experiences shaped who she was and what she stood for—heritage, public service, tolerance, life-long learning, honesty, respect, and courage. Just Judy captures the whole complicated challenge of staying true to yourself and will stir you to live with intentionality and make a difference in today’s rapidly-changing world. 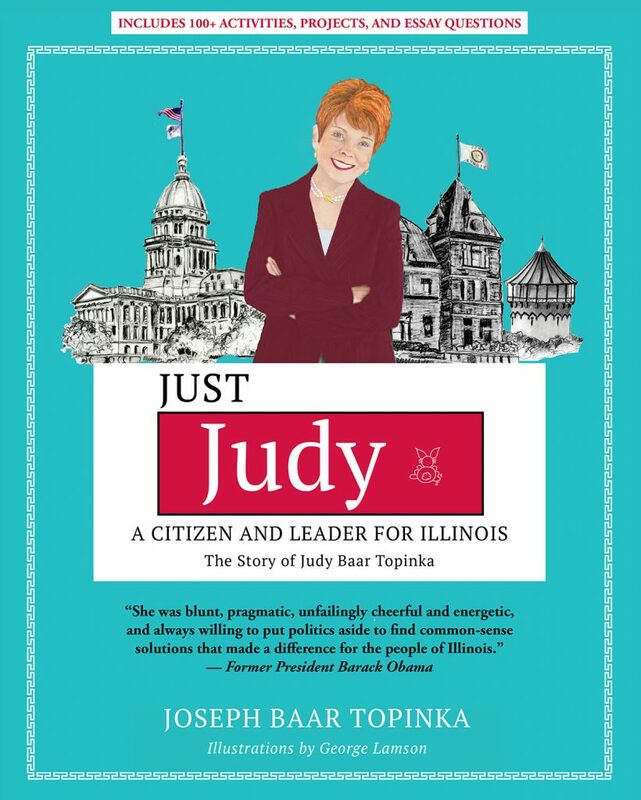 My hope is that when you read about Judy Baar Topinka, you will see many qualities of her character and examples from her life that you can adopt in your own life. We discuss the anticipation of the city of Chicago’s first African-American female mayor. How will a woman conduct herself and govern differently in this prestigious position? 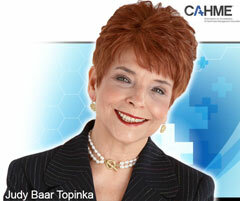 We are please to announce the new CAHME / Judy Baar Topinka Foundation Scholarship and are now accepting applications. Judy was a great supporter of Loyola University and was on its Board of Regents. 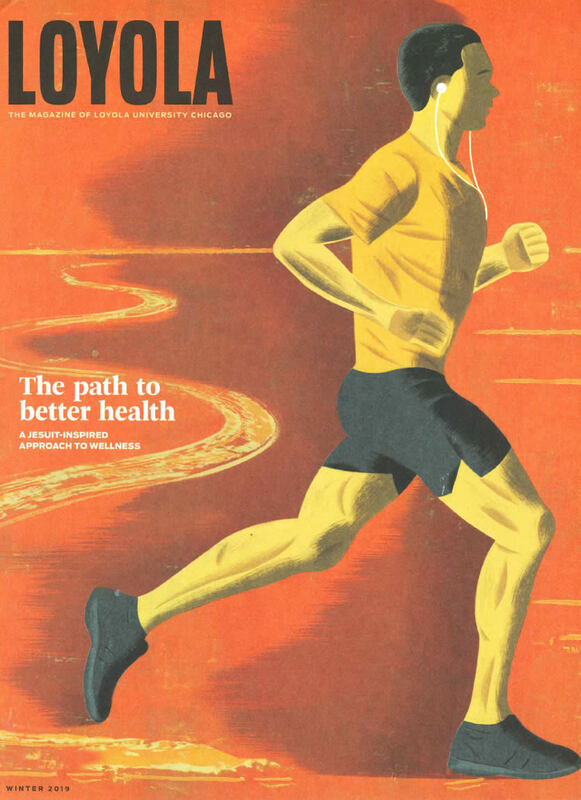 The Foundation and the Topinka family thank Loyola Magazine for helping get the word out about Just Judy.